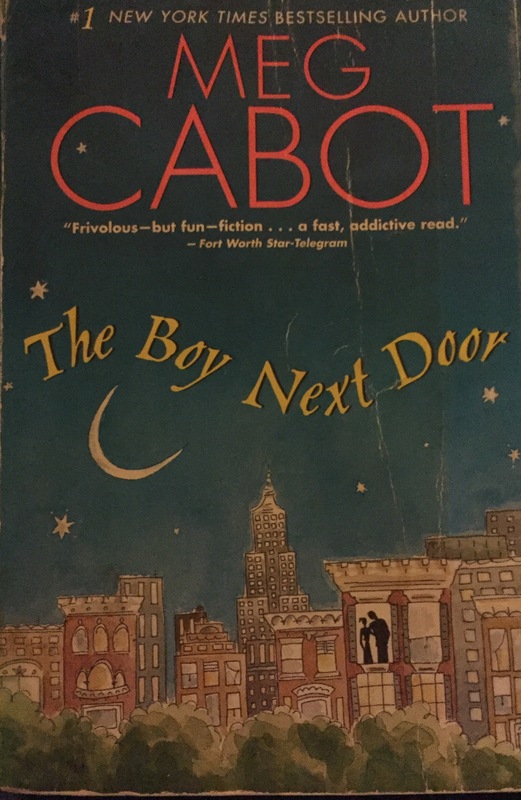 Meg Cabot has been a favorite of mine since I read the Princess Diaries a couple of years ago. Every book I’ve picked up from her hasn’t let me down. She’s my go-to author for light, fun, and funny. So when I saw this book on the epistolary novel list I just had to give it a shot. I mean, I really wanted to read something about letters and here is one of my go-to authors with a book on that list. Yep. Had to give it a shot. The story follows Melissa Fuller, Mel to her co-workers, who is a gossip columnist for the NY Journal. She’s late to work one morning because while on her way to work she notices her neighbors newspaper is still out in the hall and her dog is barking. Concerned, she knocks, finds the door unlocked, and finds her neighbor face first on the floor. It’s all okay though, her neighbor is still alive, just not conscious so she calls 911 and ends up talking to the police about what happens. Her work day is shot, but that doesn’t stop the office gossip in the round about of emails among her co-workers, best friend, and boss. The fun really begins when Mrs. Friedlander, the unconscious neighbor, is in the hospital and her “nephew” shows up to housesit and take care of the dog (and yes, that is quotation marks around nephew. You’ll see why). So you have Mel. Gosh, she’s hilarious. I don’t know how to explain her. She’s got this personality that you can’t help but snicker at. She’s bold, but not in a sassy way. She’s kind, in a completely sincere way. I want to say Mel is kind of ditzy, but I don’t think that’s right. I also want to say she’s a little scatter-brained, but I don’t think that’s right either. She’s sanguine. Yeah, that’s it. Sanguine. You have Nadine, Mel’s best friend. Their banter through email is hilarious. I love it. Nadine is bold, with sass. She’s kind, in a no nonsense kind of way. She’s the sensible one. Then you have Aaron Spender, Mel’s boyfriend, and senior columnist at the NY Journal. Oh gosh, I’m not going there with this one. Let’s not forget all of Mel’s office. Seriously, and this is what I love, emails fly throughout the staff in this one and they all add to the story in their own perspectives and add a layer of humor that you just have to appreciate. From the tech department up to her boss. I mean, wow. I really enjoyed it. And you have Max and John. An odd pair of old college pals who end up in an arrangement that pretty much changes the course of their lives. I love the plot and I love the presentation. Telling this story through an exchange of emails really brings out the story. I guess it is this style of writing that I love. It’s like you see the story unfold through many different perspectives and at the same time you can piece together, on your own, what happens. You get the gist of things and can fill in the blanks how you see fit. It’s so much fun! Especially with Mel and her adventures with the boy next door. But I did like reading through this story. I think I laughed about 90% of the book. It was a page turner. A part of it is because it’s written through emails, but I the story was engaging. I just couldn’t wait to see what would happen between “Max” and Mel and then how Aaron felt about it and then I couldn’t wait to see what the office had to say about everything else. I know I’m being redundant, but one more time, it was super fun to read. It seems that this is book one in a series, but I think the books in the series can be read as stand-alones because a quick read through the summaries has me seeing different characters. I don’t know if Mel returns in any of them so I will probably not read those. As much as I love Meg Cabot’s stories, I just can’t dilute Mel and her world with another story about other journalists. It’s a good read, especially if you’re looking for light, fun, and funny. If you’re not into the whole email back and forth thing, I’d skip it. There is no narrative except for emails among the characters. It’s fun, but I know not everyone likes that kind of story. It’s also a contemporary romance so if you’re not really into the whole love story thing, skip it. If you don’t mind all that jazz, I think you’ll enjoy it. Meg Cabot knows how to make you laugh. Though, when I think of it, I don’t know if everyone would enjoy that kind of humor. The kind where you’re like “I can’t believe you just did that. Who does that? Ack! It’s so obvious!” For me, I think that’s the point, you know? But I know that irritates some. This is a book I would definitely pick up again and thumb through time to time.